Indian presence in Myanmar and its economy, especially after all the glib talk of a “Great Game” on Myanmar involving China, Western powers and India. 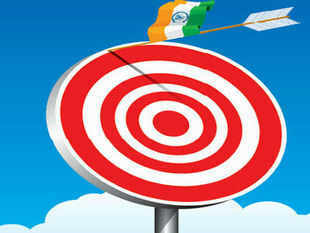 India should be looking to her neighbourhood to boost foreign trade and get the economy back in shape. But we are missing out on Myanmar. The Pagoda nation is strategically located between India and south-east Asia and is key to our "Look East" policy through the north-east. So, one would expect rising Indian presence in Myanmar and its economy, especially after all the glib talk of a "Great Game" on Myanmar involving China, Western powers and India. But does India have the minimum economic footprint in Myanmar to play a Great Game? Total foreign investment ( FDI) in Myanmar crossed $43 billion in August 2013, according to the Myanmar Investment Commission. "Myanmar has foreign investment from 32 countries in four major sectors: energy, oil and gas, mining, and manufacturing," said an official from the Myanmar Investment Commission. China is the biggest investor in Myanmar, followed by Thailand, Hong Kong, South Korea, Britain, Singapore, Malaysia, France, Vietnam and India. India's investment in Myanmar is now around $273.5 million. It is expected to soar to $2.6 billion over the next few years. Indian companies that have a presence in Myanmar include ONGC Videsh (OVL), Jubilant Oil and Gas and the Century Ply-Star Cement group. Thailand is the largest importer from Myanmar. As much as 41% of Myanmar's total exports went to Thailand last year, while 15% went to India and 14% to China. Myanmar imported mainly from China, as usual, in 2012. A total of 37% of Myanmar's imports came from China, while 20% came from Thailand, but just 3% from India. Myanmar's total trade volume in 2012 was $25.16 billion. The trade deficit reached $5.76 billion because total exports stood at $9.69 billion and total imports were $15.46 billion. Myanmar enjoys a favourable trade balance with India, but of its total trade of over $18 billion, India accounted for only about 7.5% in 2011-12. Whenever one asks a foreign trade official for an explanation, one is bombarded with statistics. Like India's bilateral trade with Myanmar has "expanded significantly" from $12.4 million in 1980-81 to $1,070.88 million in 2010-11. But why should be looking at a progression over 20 years? Where was Sino-Indian trade 20 years ago? Now China is India's biggest trade partner, and it all happened in a few years. India's exports stand at $334.4 million, while it imports goods worth over $1 billion from Myanmar. The main exports to Myanmar are pharmaceutical products, iron and steel, electrical machinery and equipment. India imports large amounts of vegetables, pulses and wood products from Myanmar. The Indian IT industry and also the entertainment industry has not really looked at Myanmar as a market. From an investment point of view, healthcare and education beckon Indian players for large-scale investment with possibilities of great returns and that will also ensure an Indian presence with "winninghearts-and-minds" capabilities. But the real irony unfolds in this sector when OVL and Gail decide to invest $1.33 billion in the China-Myanmar gas pipeline and Punj LloydBSE -0.44 % wins a construction contract for two parallel pipelines for oil and gas involving a Chinese investment of $475 million to build the 200-km Kyaukphyu-Kunming oil and gas pipeline. India lost out on this pipeline because we could not offer Myanmar a route to bring their gas from the Shwe fields. Bangladesh under Khaleda Zia did not oblige by providing its territory for the proposed pipeline and it was considered too expensive and risky to route it through India's northeast. India has requested Myanmar to start fresh negotiations on the pipeline now that Delhi has a more friendly government in Dhaka. But we can't guarantee that will be the case by the time negotiations start.